Thanks cape man and Fuzz. 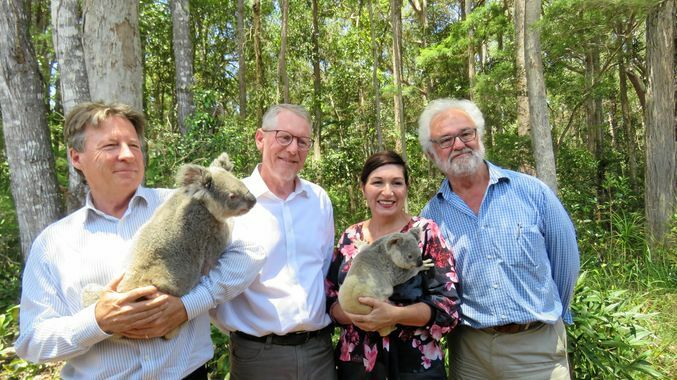 Our local volunteer conservation group has been plugging away for twenty years trying to get koala habitat protected as National Park. We had a nice win this week, as reported in the following link. Congratulations GB. Something good to take your mind off what else is going on for a little bit. Don’t be fooled by cuteness, Fuzz. A closely related subspecies, the Drop Bear, is as savage as a grizzly! "Drop Bear: a large, arboreal, predatory marsupial related to the koala, the size of a leopard, having coarse orange fur with dark mottling, with powerful forearms for climbing and attacking prey, and a bite made using broad powerful premolars rather than canines. They weigh 120 kilograms (260 lb) and have a length of 130 centimetres (51 in). Last edited by BarraMan on Sat Nov 10, 2018 9:22 pm, edited 3 times in total. 8ft dinghy built in 1992, BBV sufferer ever since. Thanks Jeff, Reefie, cape man, Tom, Lee, Christer and Fuzz. Appreciated. For some time I've suspected you were more than a little wild Fuzz. Almost there. This time tomorrow, the neurosurgeon will have pronounced. We will be waiting for the news and hoping for the very best.